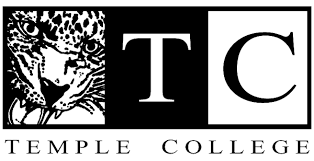 If your goal is to pursue a baccalaureate or higher degree, Temple College is a point of access for numerous professional fields of study through its transfer curriculum leading to the Associate of Arts degree. We also offer an opportunity for our students to complete upper-level classes toward a baccalaureate degree on the TC campus through a partnership with Texas A&M University - Central Texas or online through an innovative partnership with Franklin University.If your interests lie within a field of technical study, Temple College offers challenging programs leading directly to employment through specialized certification or an Associate of Applied Science degree.If you need short-term job-related training or retraining for skill-specific occupations, the Temple College Division of Business and Community Education provides many opportunities throughout each calendar year for open enrollment classes as well as customized contract training in partnership with local business and industry.Temple College has combined a sense of history and tradition with unprecedented progress in the transformation of its campuses, programs, and services to meet the educational, cultural, and socioeconomic needs of a multi-county service area. Many of its programs have received national and even international recognition; many of its students have reached the highest levels of professional achievement.